I managed to get away for a week and visited my friend from Kendal who lives in Switzerland. We had a mixture of weather with same stunning views. 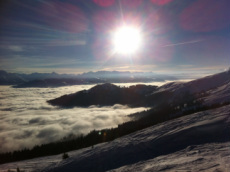 in the pictures you can see a valley with a big weather inversion.